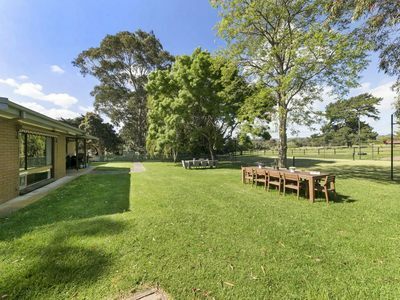 A terrific example for fine rural living, this amazing horse friendly property offers a unique blend of established shade trees, rural vistas and a very long list of extras to deliver a blessed lifestyle amongst the fresh rural air. 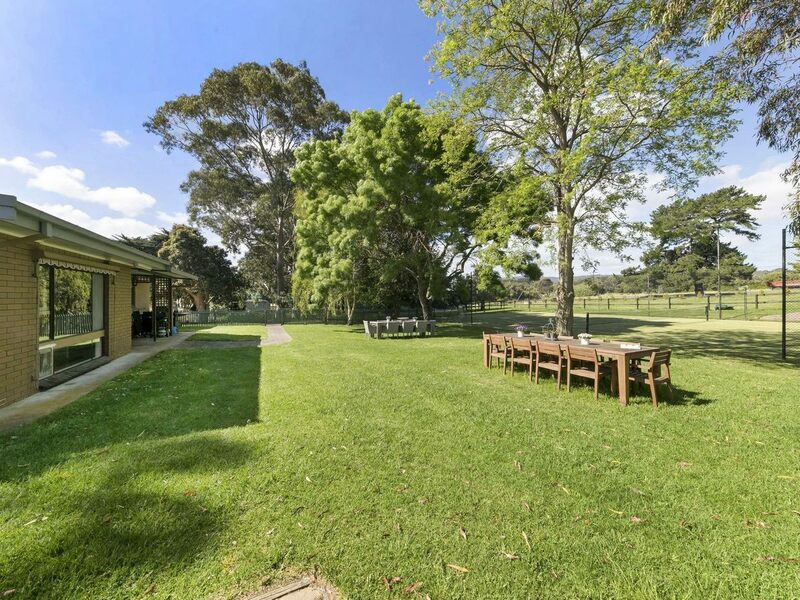 Perfect for the horse enthusiast or hobby farmer, superbly presented from top to bottom, this quality five acre property enjoys extensive shedding, impressive three bedroom plus study home, five lush watered paddocks, arena, stables, tennis court and bore. The refurbished residence features sweeping open plan living and a functional floor plan together with many of today’s modern, creature comforts. 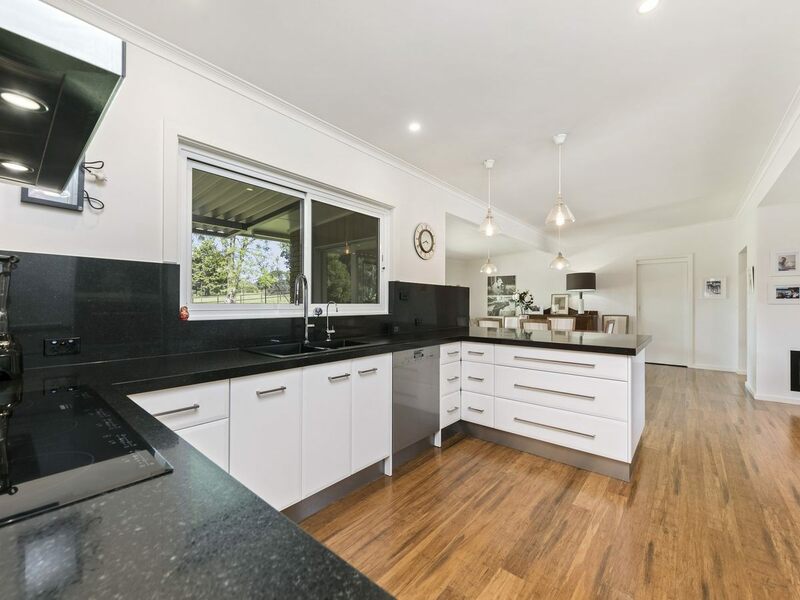 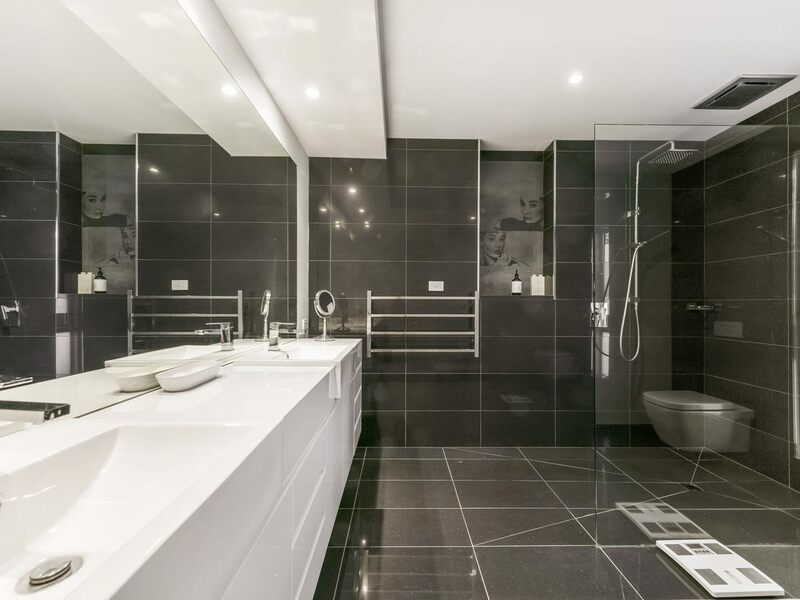 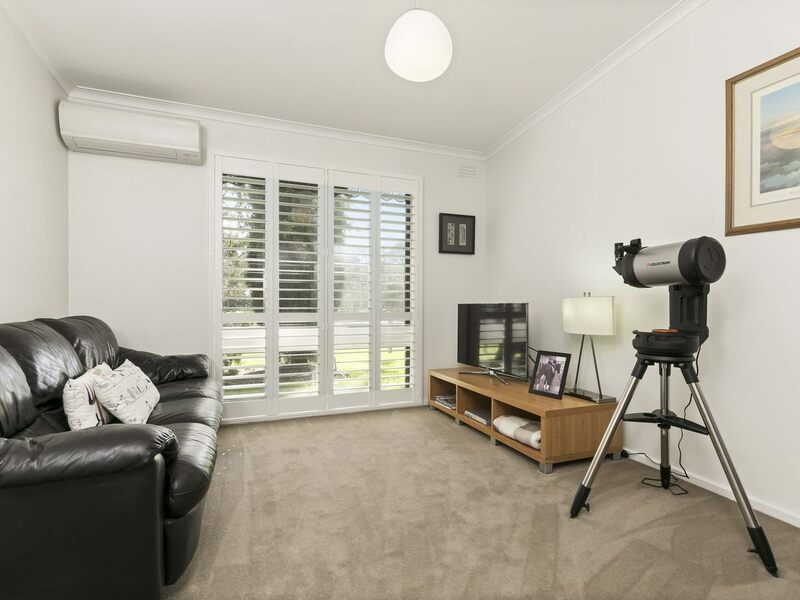 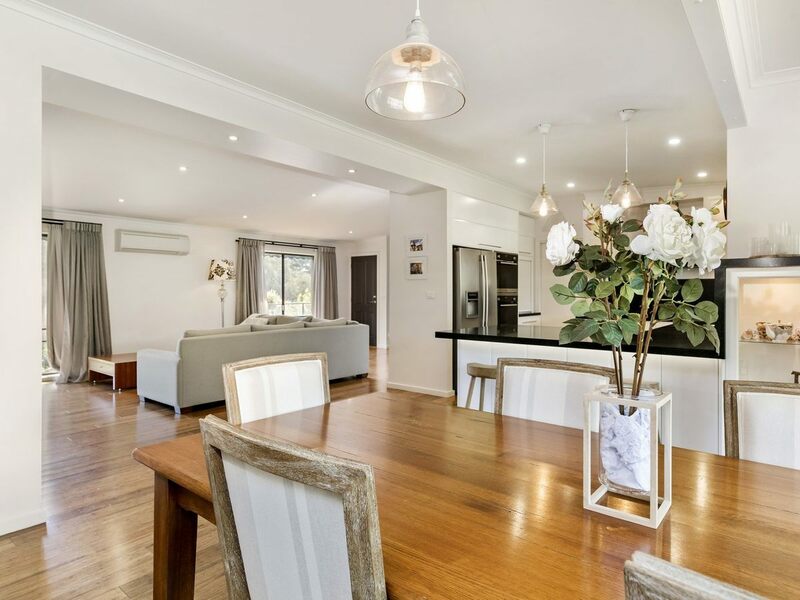 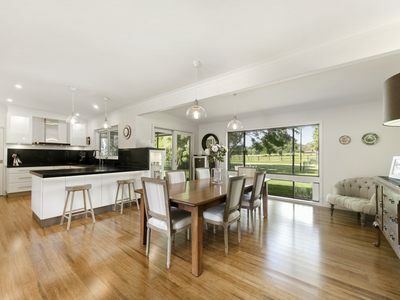 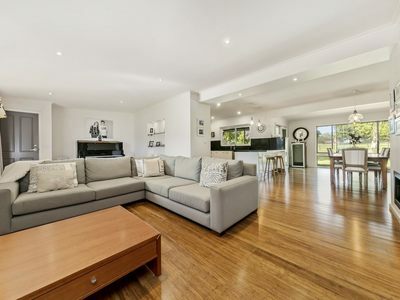 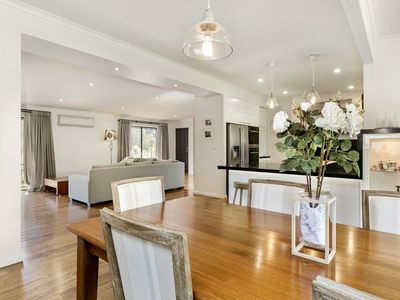 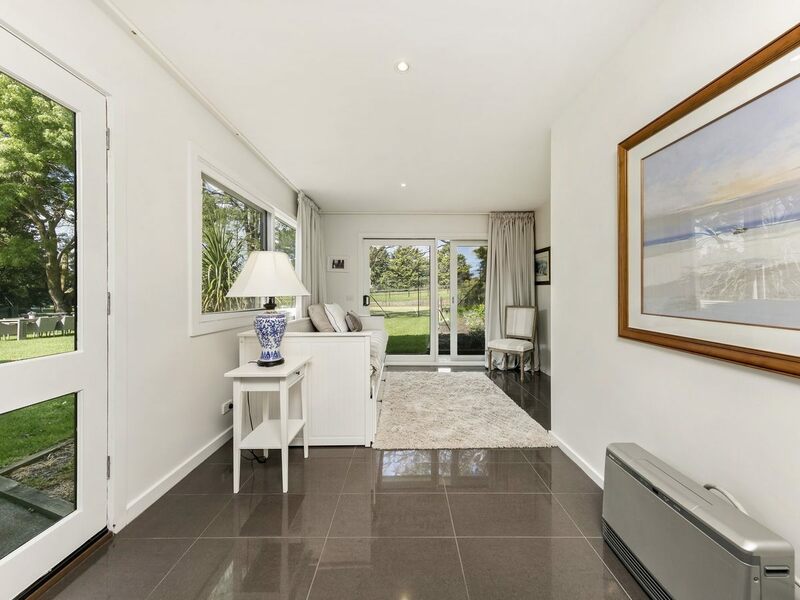 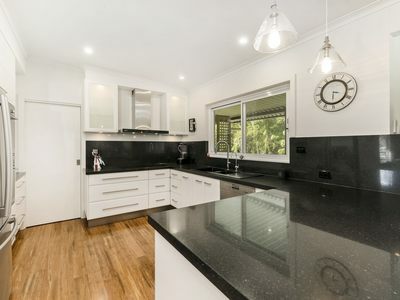 The stunning, well fitted granite kitchen complete with walk in pantry adjoins generous meals and living, as both feature gas heater and spilt system air conditioning provide total comfort. 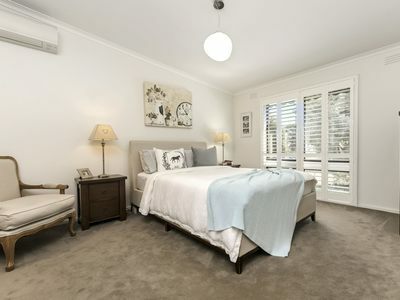 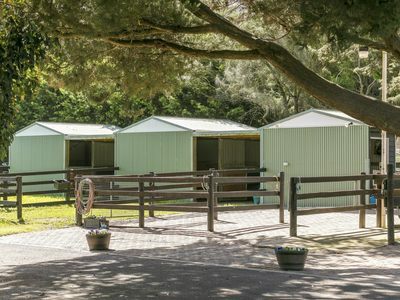 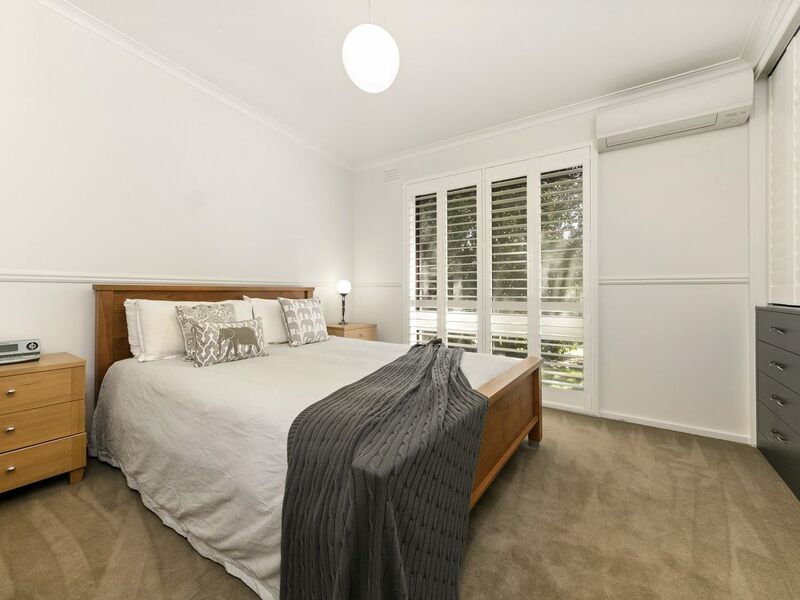 A sunny second living zone or guest quarters provides added living space, while the master bedroom with walk in robe and elegant ensuite, double robed bedrooms sharing in the family bathroom and separate powder room cater for your every accommodation need. A picturesque rural view from every room plays complement to fresh paint work, window furnishings and floor coverings so all you’ll need do is simply move on in and enjoy this friendly family home. 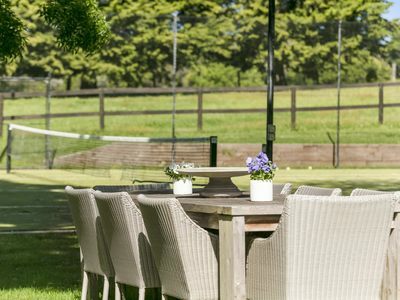 Set on a five acre estate divided into five (potentially seven) well fenced, watered paddocks as the manicured riding arena, powered stables, tack room and paved wash bay all under lights afford total riding comfort. 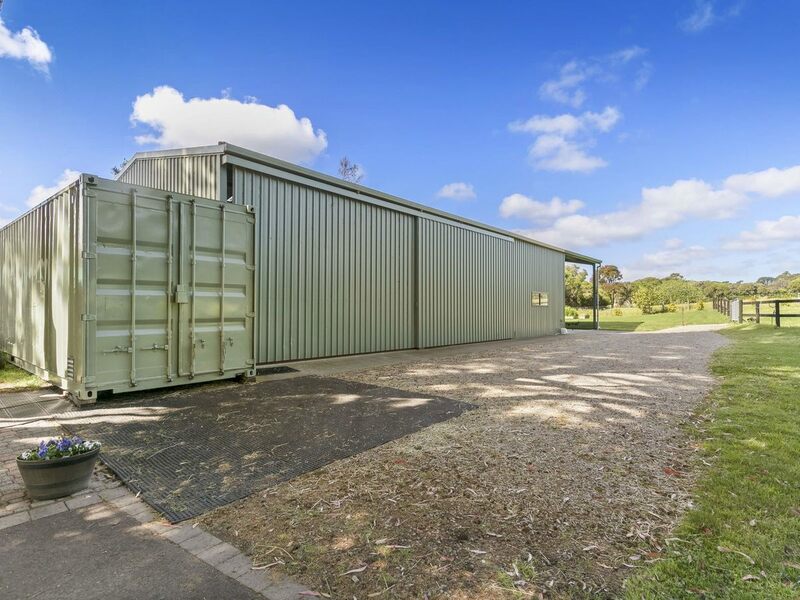 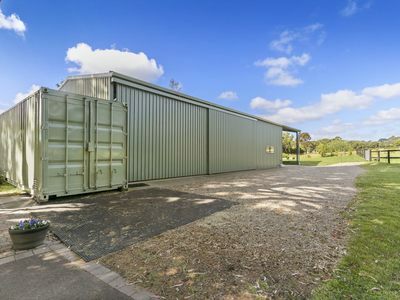 Storage will be of no concern with a huge machine shed complete with dry store, three phase power and double carport, plus extensive rain water tanks, quality bore and fencing all round. 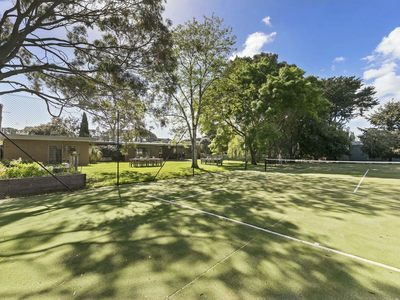 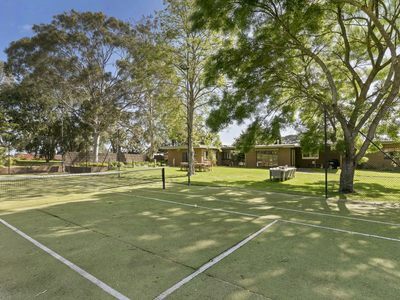 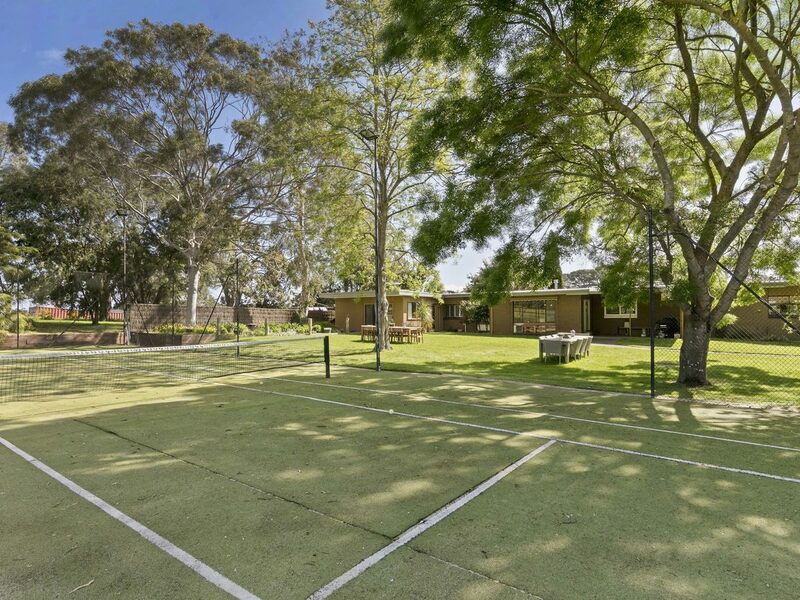 A flood lit tennis court and undercover area allow for terrific entertainment as the double remote garage, semi sealed driveway and remote front gates complete this well tendered rural paradise. 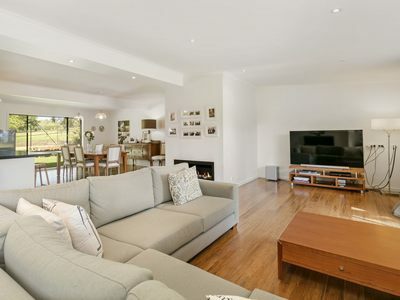 If space, lifestyle, a quality of living combined with storage and seclusion fits your list of must haves then this fine property will be hard to surpass as the ideal luxury weekender or superior permanent home. Situated at the gateway to all that the Mornington Peninsula has to offer, including local wineries, horse riding trails, schools, beaches and major shopping as easy access to Melbourne via the Peninsula Link lies but moments away by car for your added convenience.